"Suspense From Beginning to End"
Y'all, this one is a complicated review. 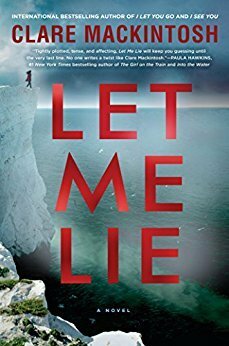 First of all, if you are a fan of suspense - especially atmospheric British suspense - you'll find a lot to love here in LET ME LIE. It's taut and well plotted, with good pacing and an empathetic protagonist. The complications come for me with the ending - which I am loathe to discuss. I didn't really feel all of the pieces were fully wrapped up and I closed the book feeling puzzled instead of fully satisfied. As a massive fan of Claire Mackintosh's other works, I was slightly disappointed, but this will not sway me from reading her in the future.